Newquay hen parties have long been a tradition and this small but explosive party town has built a reputation as a world renowned destination for brides to be. There’s something for every type of group ranging from surf lessons, BBQs on the beach, daytime spa packages, pampering and wine tasting, to crazy nights out with VIP queue jumps for the clubs and shots all round. You’ll find what you are looking for in Newquay. Common daytime activities chosen by hen parties include go-karts, kite surfing, paintball, golf, surfing and a whole range of other sporting activities. There are countless pampering options with luxury spas and then, of course, there is the famous Newquay night life to look forward to! As the UK’s party capital, Newquay has an almost endless supply of fun things for your party. With several clubs, many many pubs, a whole range of luxury spas overlooking the famous beaches. Or maybe you want something more active, such as surf lessons or quad biking. Newquay has it all. Newquay is famous for its surfing beaches but it also plays host to several massive festivals such as the famous Boardmasters, and the nightclubs have regular visits from many big-name DJs. Newquay is packed full of activities for even the most adventurous hen groups. Activities range from relaxing spa treatments, wine tasting and beach BBQs to more exciting activities like surf lessons and quad-biking. Here are some of the most popular activities on offer for hens in Newquay. Packages are provided by our trusted partner, Hen Heaven. Relax, you don’t have to cook! Newquay hotels are generally geared up for taking large groups but many places are known to refuse hen parties due to their noisy reputation. We’ve spotlighted a few options below who will happily welcome your party with open arms. Head over to booking.com to book. The Escape (7.9/10) – A lively surf lodge located right in the middle of the action, just up the road from the famous Berties nightclub. The Kilbernie Hotel (7.2/10) – One of Newquay’s main large hotels. 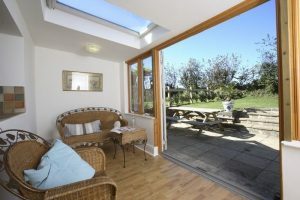 Walking distance to Lusty glaze, Tolcarne and Great Western beaches. Right on the edge of town so it’s easy to walk in and out without the need for a taxi. Godolphin Arms Hotel (7.5/10) – A few mins drive from town centre. Includes on-premises bar and full english breakfast. Perfect! Hotel Sunnyside (7.4/10) – In the centre of town, a stones throw away from the bars and clubs with just a short walk down to Towan beach. See our accommodation guide page for more options, including self catering rentals, holiday cottages and dedicated party houses. After conducting exhaustive research on the best agency to organise a party in Newquay. We eventually settled on Hen Heaven. 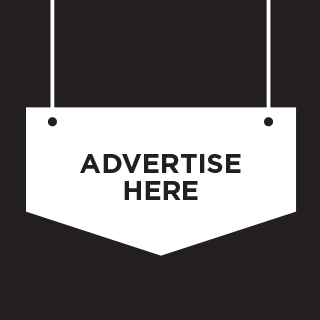 Click the banner below to put together a quote using their online system. Why Do We Recommend Hen Heaven? We’ve researched a few essential items for you. Make sure you don’t forget to stock up on your supplies before you head off on your hen party weekend. There might be a few things here you haven’t thought of yet. 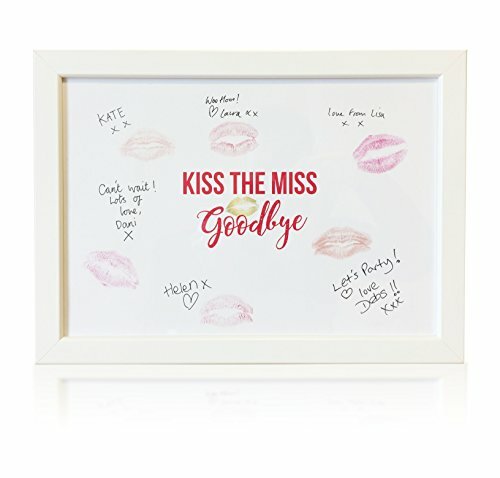 Hen Party Gift - Cute Keepsake for the Bride to be! 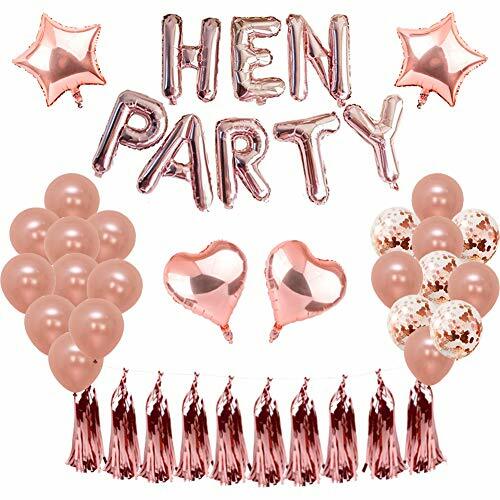 Package include :1set Foil "HEN PARTY" banner With blow pipe, 20pcs latex balloons,5pcs Confetti Latex Balloons and 4pcs Star Heart Foil balloons, 10pcs Foiled Tassel Garland with Clear String. 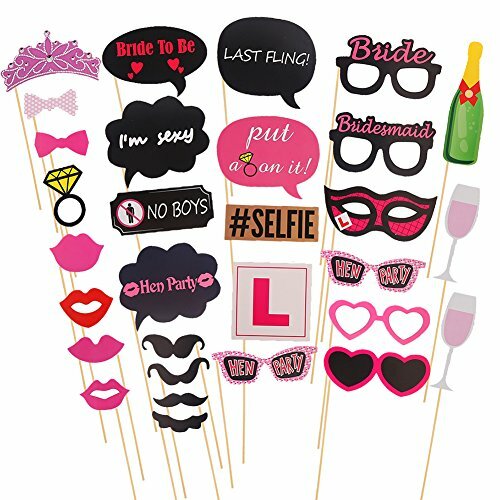 Easy to use and included everything you'll need to celebrate hen party. Rose gold theme party: Rose gold latex balloons, foil balloons and banner, all is rose gold, will give you a rose gold world and a unique rose gold theme party with our Rose Gold Balloons Decorations Set. High Quality Balloons: For rose gold Latex and Foil Balloons, Non-toxicity and harmlessness;balloons are strong and long lasting,support helium or air. "HEN PARTY" Letter don't support helium. 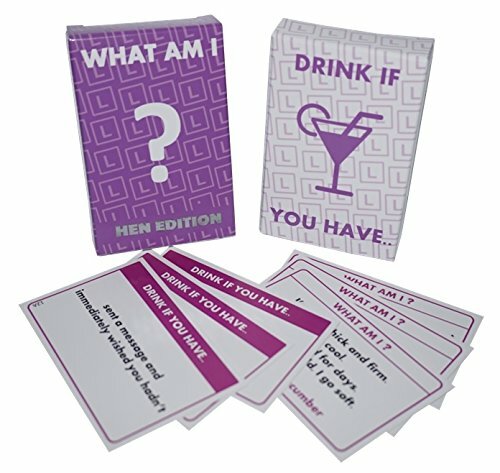 Hen Night Party Games - WHAT AM I ? / DRINK IF YOU HAVE ....•:* 2 GAMES *:•. Premium Quality - Professionally manufactured, not a home printed product. Package: 30 Paper Cards,30 Bamboo Sticks, 30 Dot Glue. 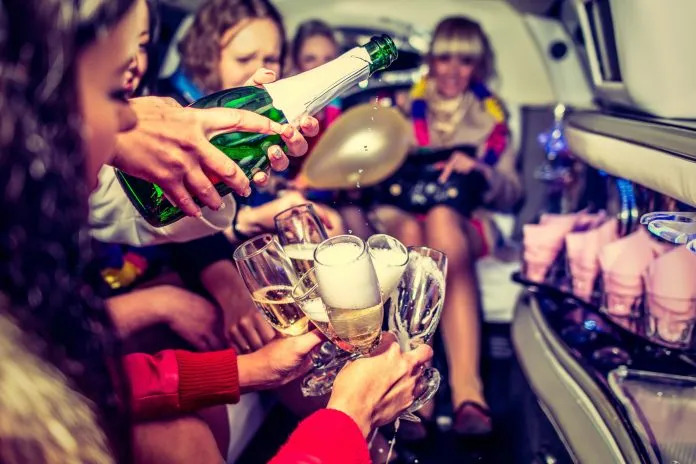 Occasion: Great for a hen night party and to enjoy the fun time with your friends. Great Fun: Different neoteric styles, such as bow tie,glasses, moustache. Every one at the party will love them. 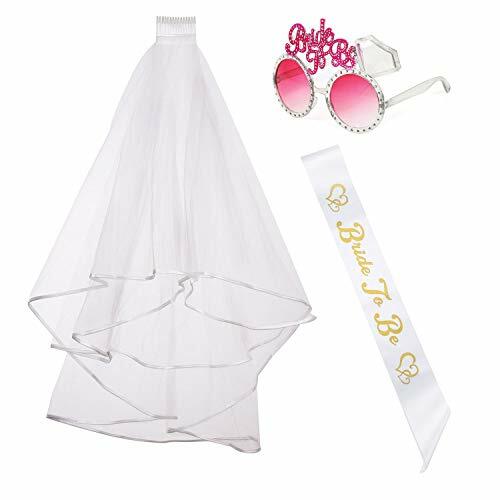 Comes with 1 bridal veil,1 bride to be sash and 1 pink sunglasses. Sunglasses: made of plastic, not flimsy. One size fits most ladies. Ribbon edged bridal veil:made of nylon, well-made, two-tiered,simple but stylish; with plastic comb, easy to wear.